Once in the water, you’ll find that the H2X has a large flat floor with no hidden obstacles, making it the perfect choice for a variety of fitness exercises. You can jog in place against a gentle current, use a kickboard or use the H2Xercise System that includes a rowing kit, resistance bands, H2Xercise Bells, H2Xercise Fins, the H2Xercise Aquatic Workout book and comes standard with all models. With the jets off, you can experience the benefits of resistance training and range-of-motion exercises. Water buoyancy naturally makes exercising easy on the joints and this approach offers a total mind and body workout that is effective, yet gentle. 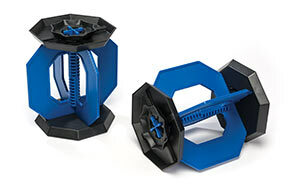 H2Xercise Bells: This unique design allows for adjustability in four varying resistance levels to accommodate any user and fitness level. Whether the goal is rehabilitation or high-level performance training, these are the dumbbells for you. 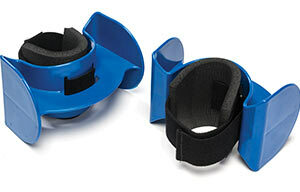 H2Xercise Ankle Fins: These form fitting, comfortable fins provide a smooth accommodating resistance in every direction that you move. They allow you to strengthen the muscles that you use every day in an effective and efficient manner. 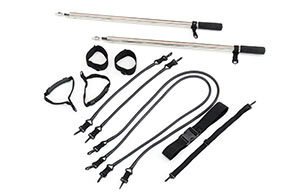 H2Xercise Rowing Kit and Resistance Bands: Easy to connect, use the rowing kit for upper body strength and endurance training. When you're done, just release the four fastening points and store it in the durable H2Xercise bag for your next session. Multiple resistance bands and attachments are perfect for a wide variety of strength and flexibility exercises. 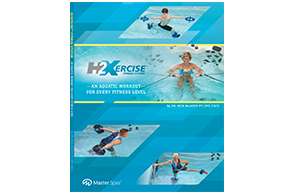 H2Xercise Aquatic Workout for Every Fitness Level: A new way to exercise. Dr. Rick McAvoy, PT, DPT, CSCS and Professor of Hydrotherapy has authored an exercise program written exclusively for the Master Spas line of swim spas. 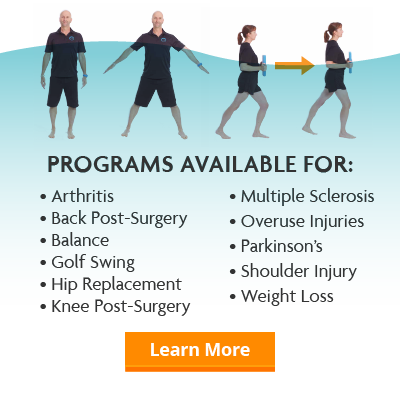 This program is designed specifically to help you get the most out of your swim spa and is presented in an easy-to-follow format. Daily exercise reduces your risk of heart failure?